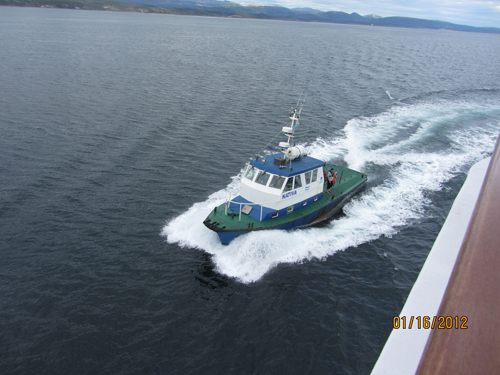 Very shortly after entering the Beagle Channel the Argentinean pilot jumps on board to guide the ship through the channel to the port of Ushuaia. The sun has now introduced itself again warming the air to a comfortable 45 degrees. 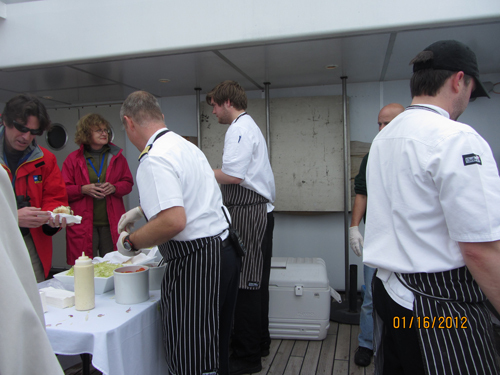 The crew take advantage of this and serve a "Argentinean Tea Time" of red wine and steak sandwiches on the sun deck. What a way to finish a fantastic trip! The captain keeping with tradition hosts a cocktail party and dinner in the evening. 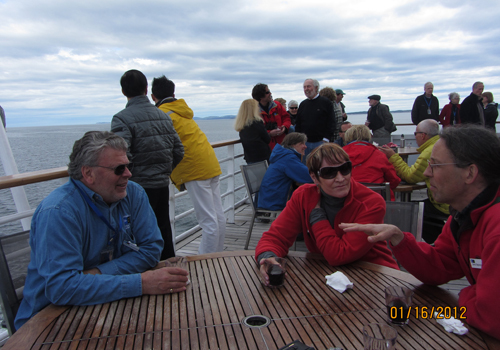 Included in this wonderful time is a video of the trip comprised of pictures taken by the passengers. 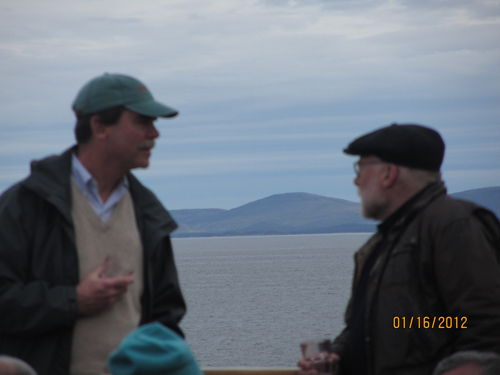 What a fantastic memory trip!! 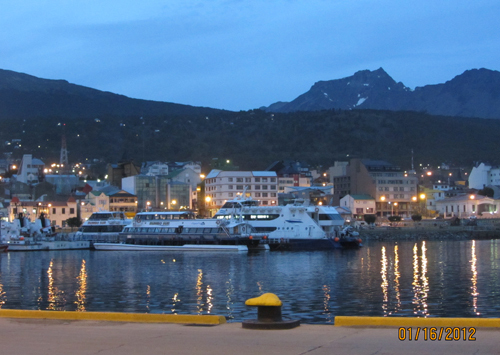 The ship has docked now and the lights of Ushuaia turn the mountainside into a rainbow of colors. 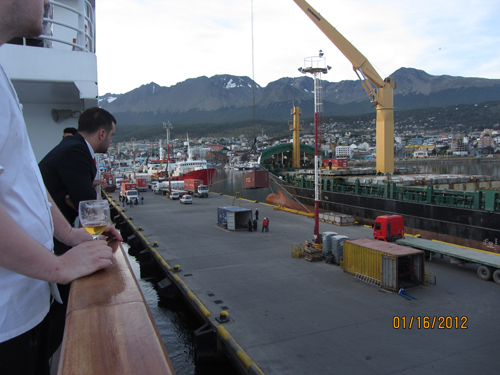 The crew has headed out for a night on the town to celebrate another Drake Passage crossing as the passengers either head to bed or for a stroll around the port. Tomorrow is the official disembarking and there is packing to do. 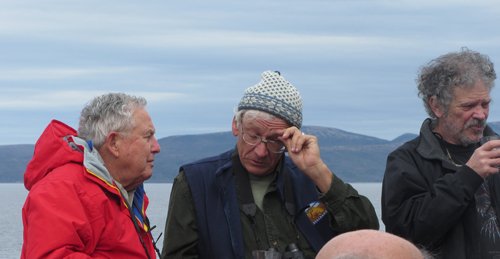 Denny and Bernie with Naturalist David Stephens enjoying the "Tea"